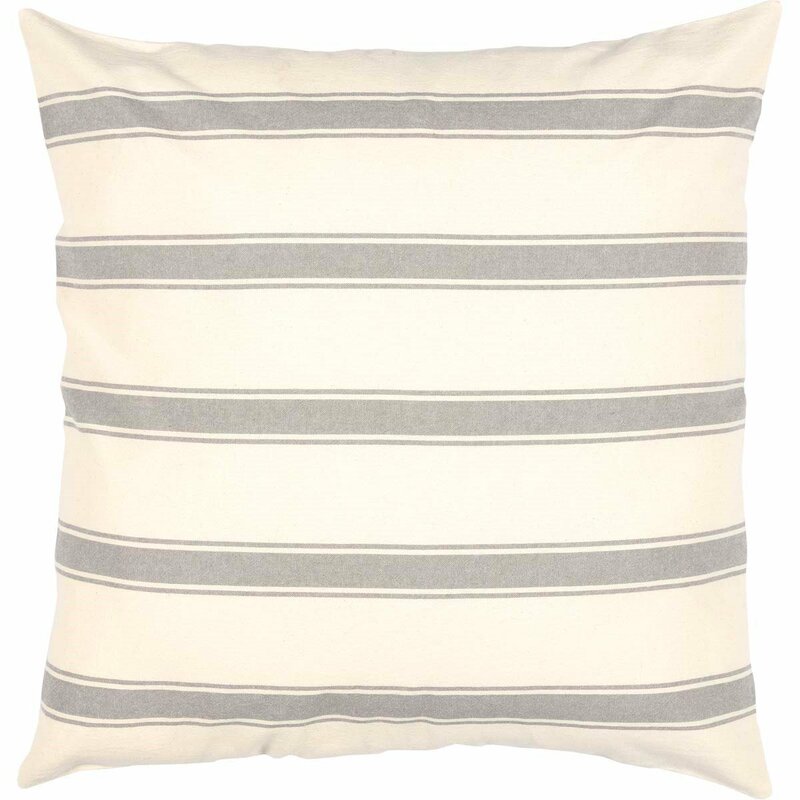 Elegant enlarged ticking stripes - a farmhouse staple - in nickel grey are placed on a creme fabric, giving the Grace Euro Sham a spacious and fresh look. 100% cotton, reverses same as front, and includes 3 wooden buttons for enclosure. Features Repeating modern grey grainsack stripes on creme base fabric. Turned edge seam. Reverses to same as front. Features 3 light wooden button closures plus 1 spare hidden button with 3" overlap to conceal pillow insert. Machine stitched. Single fabric. SPECIFICATIONS: Dimensions: H26"xW26". Weight: .4 lb. Material: 100% cotton. Colors: creme, nickel grey. Item is imported. CARE: Machine wash in cold water with like colors, gentle cycle. No chlorine bleach. Tumble dry low, remove promptly. Iron if needed. The manufacturer's UPC code for this item is 840528165696 and it is part of the Grace ensemble by April & Olive manufactured by VHC Brands.